The World Trade Center in New York is one of the tallest buildings on earth. Heaving its twin towers over one hundred stories into the sky, its most stunning engineering feature hits you when you step inside: each of the nearly acre-wide floors is wide open from edge to edge with no central means of support. 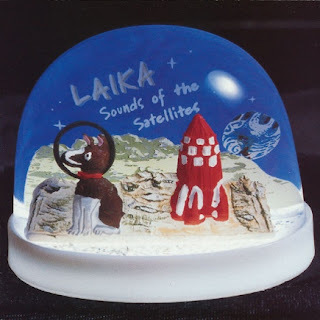 Laika construct a similar feat on Sounds of the Satellites, the group's sophomore effort. 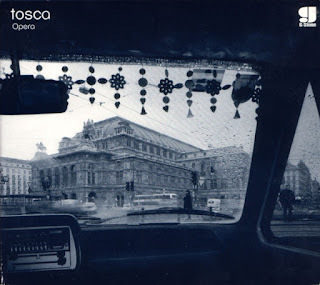 Repeated listens reveal layer upon layer of sound, but the end result isn't dense; the album floats along, spacious and atmospheric while reaching toward the ionosphere. Every teenaged, amber-sunglassed, Tom Rowlands wannabe with a sampler is looping electronic bleeps and hip-hop beats, but only a choice few bands are using new technology intelligently to enhance their music instead of using it as a crutch. Stereolab and Spiritualized are shining examples; Laika is another. The core of the group is Margaret Fiedler and Guy Fixsen, musical polymaths who split command of vocals, guitar, bass, minimoog, trumpet and sampling. Former drummer for PJ Harvey Rob Ellis is also on board, along with guest flutists, vibraphonists and percussionists to flesh out the pair's gently orbiting compositions. Expertly blending dub and hip-hop technology with live instrumentation that nods to jazz, trip-hop and dreamy pop, the cyborg fusion of smooth organic grooves in a warm electronic bath is subtly addictive. And I do mean warm; most computerized music is sorely lacking in soul, leaving listeners in a cold synthetic wash, but Laika's sound is as endearing as the dog they named themselves after, the first animal to be shot into orbit. It helps that the group writes actual songs, not just repetitive dance tracks. "Almost Sleeping" is a gorgeously smooth track, the languid beat, gentle vibes and light modulations in tone emphasizing the lassitude of the lyrics: "lose track of days, whiling away/I don't have strength to get away." The lilting flute that closes out the track is a lovely touch. The odd, Lee Perry-ist machine clunking that opens "Starry Night" is softened by wah-wah guitar and soft moog flourishes, setting the twilight scene: "the air is still / the earth sleeps / we move with the grace of the moon / sweeping through the clouds / one by one the stars break through." This is a cosmonaut's perfect lullaby. The album may be mellow in places, but it's not all zero-gravity floating; "Bedbugs" is a funky, Curtis Mayfield-style story of a player with edgy guitar licks, "Poor Gal" a jungle-influenced rave up, and "Shut Off/Curl Up" a dark look into the bruised psyche of an abused woman. A richly textured, deceptively complex album with intriguing sounds and solid songwriting, Sounds of the Satellites is tailor made for those who want to leave the earth for a while - throw on the headphones, stare up into the starry blackness and bliss out.